Over 600 Chinese have applied to join an ambitious Dutch aerospace project that plans to send humans on a one-way trip to Mars for permanent settlement. The Dutch project, while triggering enthusiasm to explore outer space, is also under fire with the trip being viewed by some as a suicide mission, with applicants being shipped to a planet that is uninhabitable by humans. The project, Mars One, is being launched by a Dutch non-profit organisation, and is scheduled to take four humans to the Red Planet in 2023. In the first three days after it was launched this week, over 20,000 people from all over the world submitted their applications online, with more than 600 coming from China, state-run China Daily reported. Bas Lansdorp, co-founder of Mars One told the media in Shanghai that he is confident of turning the dream into reality, and plans to attract more than five lakh applicants. The Chinese enthusiasm to travel to Mars is building up as China, which has a well funded space programme focussing on Moon missions and building a space station is planning a three-phase Mars space missions to collect samples from the Red Planet by 2030. The three stages are remote sensing, soft-landing, exploration and return after collecting automatic sampling, according to Ouyang Ziyuan, China’s Chief scientist for Lunar missions. But India may steal the march as Indian Space Research Organisation (ISRO) is bracing to launch its first Mars mission in November to become the first Asian country to accomplish it. NASA has already landed a rover on Mars remaining well ahead of other space programmes of the world. WASHINGTON -- NASA is inviting members of the public to submit their names and a personal message online for a DVD to be carried aboard a spacecraft that will study the Martian upper atmosphere. The DVD will be in NASA's Mars Atmosphere and Volatile Evolution (MAVEN) spacecraft, which is scheduled for launch in November. The DVD is part of the mission's Going to Mars Campaign coordinated at the University of Colorado at Boulder's Laboratory for Atmospheric and Space Physics (CU/LASP). The DVD will carry every name submitted. The public also is encouraged to submit a message in the form of a three-line poem, or haiku. However, only three haikus will be selected. The deadline for all submissions is July 1. An online public vote to determine the top three messages to be placed on the DVD will begin July 15. "The Going to Mars campaign offers people worldwide a way to make a personal connection to space, space exploration, and science in general, and share in our excitement about the MAVEN mission," said Stephanie Renfrow, lead for the MAVEN Education and Public Outreach program at CU/LASP. "This new campaign is a great opportunity to reach the next generation of explorers and excite them about science, technology, engineering and math," said Bruce Jakosky, MAVEN principal investigator from CU/LASP. "I look forward to sharing our science with the worldwide community as MAVEN begins to piece together what happened to the Red Planet's atmosphere." MAVEN is the first spacecraft devoted to exploring and understanding the Martian upper atmosphere. The spacecraft will investigate how the loss of Mars' atmosphere to space determined the history of water on the surface. "This mission will continue NASA's rich history of inspiring and engaging the public in spaceflight in ongoing Mars exploration," said David Mitchell, MAVEN project manager at NASA's Goddard Space Flight Center in Greenbelt, Md. MAVEN's principal investigator is based at the University of Colorado at Boulder's Laboratory for Atmospheric and Space Physics. The university will provide science operations, science instruments and lead Education and Public Outreach. Goddard manages the project and provides two of the science instruments for the mission. Lockheed Martin of Littleton, Colo., built the spacecraft and is responsible for mission operations. The University of California at Berkeley Space Sciences Laboratory provides science instruments for the mission. NASA's Jet Propulsion Laboratory, Pasadena, Calif., provides navigation support, the Deep Space Network and the Electra telecommunications relay hardware and operations. Editor's Note: National Geographic is bringing together astronaut Buzz Aldrin and mountaineer Conrad Anker for a Google+ Hangout on Monday, May 20, at 2 p.m. ET (7 p.m. UTC). After his July 1969 history-making role on Apollo 11—the first human expedition to the moon—Buzz Aldrin has continued to seek out new frontiers. Aldrin has written seven books, produced computer games, and even recorded a rap song with Snoop Dogg. A tireless advocate for human space travel, the former astronaut developed the Aldrin Cycler, a system that allows spacecraft to orbit continually between Mars and Earth, providing regular transportation between the two planets. In his newest book, "Mission to Mars," Aldrin lays out a comprehensive plan that would lead to permanent human settlements on Mars in the next 25 years. National Geographic magazine's Bill Douthitt spoke with Aldrin about the future of space travel. You've done everything from walking on the moon to Dancing With the Stars and quite a few things in between. What interests you now? It's the challenge to try and communicate thoughts that I believe have merit to them, that could make things easier for the nation to execute a good pathway to space in the future. Plus a little scuba diving. There doesn't seem to be a strong public interest in space. Why is that? Nobody is flying right now. If another shuttle launch took place, people probably wouldn't get all that fascinated with it. But if you were on the shuttle you would. Or if you were right there hearing the noise and the shock waves and sonic booms and seeing the flash of the engines lighting up. But not everyone can witness that. And we're not doing it anymore. Your new book talks about the private sector in space-companies like SpaceX and Virgin Galactic. Will they succeed? We miscalculated when a replacement for the shuttle will be ready. I don't think we thought that we'd be sitting around with nothing in sight except maybe the commercial launchers. SpaceX might be able to take people up to the space station in a couple of years, maybe. Scientists are saying that Mars used to have an oxygen rich atmosphere just like the Earth but much earlier in history. I already suspected that but t's nice to see other scientists finally agreeing with me. Scientists are saying that Mars used to have an oxygen rich atmosphere just like the Earth but much earlier in history. I already suspected that but it's nice to see other scientists finally agreeing with me. There is also evidence that suggests Mars either once had drinkable water with the right ph balance or perhaps still does. 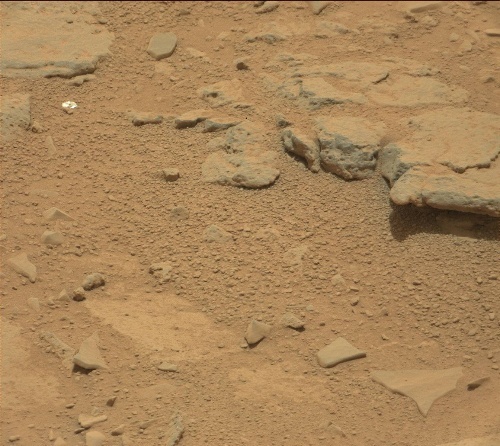 Shiny Gold Disc Found On Mars? Gold coloured, compact disc shaped object, found by Mars rover Curiosity. Yes i know it sounds crazy but what else could it be? Happy trolling. It looks kind of like a puddle of water...or ice perhaps. Notice how the sides around it seem to slope down? Seven-year-old Dexter wants to be an astronaut when he grows up. So, he did what any proactive kid with an out-of-this-world dream should do: He wrote a letter to his future employer. In his note to NASA, Dexter lamented the fact he's too young for a trip to the Red Planet. "Dear NASA," Dexter wrote. "I heard that you are sending two people to Mars and I would lik [sic] to come but im 7. So I can't." NASA replied to Dexter with a note encouraging him to pursue his space dreams. Enclosed in the package was also more information about Mars, all of which Dexter's mom posted to Reddit. According to Press Secretary Lauren Worley, the letter came from NASA's Office of Public Inquiries, which responds to hundreds of thousands of public inquiries each year on a variety of topics. However, Worley says the team especially enjoys writing back to young aspiring astronauts. "NASA is working to send humans farther into space than ever before, first to an asteroid and on to Mars," Worley says. "Perhaps one of these young writers will be among the first astronauts to set foot on another planet." How sweet. I hope someday all his dreams come true. Around 2035, an interplanetary craft from Earth will touch down in an area of the Northern hemisphere of Mars; an area known as – Cydonia. Location: 9.5 degrees W. longitude, 41 degrees N. Latitude. And as the crimson sands of the Martian deserts wail across the cold forbidding plains -90 F., what will the emerging crew see before them? That al depends upon what the Viking I orbiter saw in that exact same area, fifty-nine years earlier, on July 25th, 1976. And therein lies the tale that will not die, the controversy that will not go away; the conspiracy – as some call it – of a NASA cover-up more massive and pervasive than any other since the founding of the United States 236 years ago. For on its 35th orbit of Mars, Viking I, at an altitude of 1162 miles, snapped its 72nd photograph to send back to Earth – number 35A72 – and nothing would ever be the same again. For there, staring back at Viking I into the starry night, was what appeared to be the visage of a face. A face almost 2600 feet high (the Empire State Building in New York is “only” 1250 feet in height), 1.6 miles wide, and 1.2 miles wide! It appeared Sphinx-like, as if the ancient Egyptian edifice was staring straight up into space. And on the third planet from the sun – all hell broke loose. NASA imaging scientists Vincent DiPietro and Greg Molenaar were the first to discover this incredible anomaly, and dutifully brought it to the attention of their superiors, believing, rightly, that an unbiased scientific inquiry would now commence, to determine just what the face was. They realized that the discovery of an artificially constructed edifice of such titanic proportions would have the scientific world abuzz – unlimited access at their disposal, for what had the potential to be a shattering revelation – that we were not alone. But that was not what happened. Far from it. DiPiero and Molenaar were, instead, vilified, shunned, and threatened by their peers! As Shakespeare’s Hamlet said, “Me thinks he protesteth too much!” Why the attitude? Why the intellectual timidity? Perhaps some didn’t want us to know that we were not alone; or perhaps didn’t want to share the spotlight with a superior race – even if that race had been extinct for millennia. Perhaps it’s just human nature and ego. If so, it’s also intellectually dishonest. Perhaps governments and institutions of higher learning feared their vast intellect and contributions to society would be reduced to utter anachronisms overnight, should the knowledge of alien life in our planetary backyard be exposed to an eager public. Why answer the charges – when you could attack the character and integrity of the one making them? As Arthur C. Clarke said, the Biblical premise that God made man in his own image would be a ticking time bomb, in the face of such a momentous revelation. How would the religious institutions on Earth deal with such a monumental discovery? Many think they could not. And a Rand think tank study said as much, too. Are you feeling dissatisfied with life on Earth? Why not join the growing movement of 100,000-plus people who have applied to permanently leave Earth and colonize Mars? According to CNN, more than 100,000 people have already turned in their applications to Mars One, an organization whose goal is to establish a permanent human colony on the red planet by 2023. Mars One plans to send several groups of four people each to help create a human presence on Mars, but there’s one catch: These astronauts can never return to Earth. Once they reach Mars, they’re on the planet for life. Still, that hasn’t stopped massive numbers of people from applying to leave their lives on Earth forever. “There is also a very large number of people who are still working on their profile, so either they have decided not to pay the application fee or they are still making their video or they’re still filling out the questionnaire or their resume. So the people that you can see online are only the ones that have finished and who have set their profiles as public,” CNN quoted Mars One CEO and co-founder Bas Lansdorp as saying. Back in May, Mars One officially began accepting applications from anyone and everyone interested in abandoning Earth to live on the red planet. To paraphrase Stephen Hawking, space is our only hope for survival. If you consider the overall direction of our evolution as a species, it is also the next logical step. We've already managed to escape the gravity of our home world and set foot on another one. We've been observing our galactic "neck of the woods" and have found worlds very similar to our own...more than we ever imagined possible, in fact. Imagine what we might accomplish if we weren't so consumed with expending our resources to annihilate each other. “In addition, recent studies show that these conditions, suitable for the origin of life, may still exist on Mars,” said Benner, who graduated with degrees from Yale and Harvard in the 1970s. The first is dubbed by Professor Benner as the ‘tar paradox’. All living things are made of organic matter, but if you add energy such as heat or light to organic molecules and leave them to themselves, they don’t create life. Instead, they turn into something more like tar, oil or asphalt. “We’re All Martians, Scientist Claims,” The Telegraph wrote on Aug. 28. Similar articles showed up in newspapers and on Web sites around the world. Landing astronauts on Mars is a tall order, but bringing them back to Earth promises to be even trickier — especially if Red Planet explorers get the sniffles on the long flight home. Sick astronauts could conceivably have been infected on Mars, some parts of which may be capable of supporting life as we know it. So the world may be reluctant to welcome such travelers home, leery of possibly unleashing an extraterrestrial superplague on Earth's 7 billion people. "The ability to have documentation to justify to the rest of the Earth why this really isn't some nasty disease from Mars, it's actually something totally normal and we expected it — we saw it when we went to the moon, we saw it when we went to asteroids, we know this is a result of nonliving exposure, it has nothing to do with some potentially Martian disease — that, I think, is going to be the most important aspect of doing planetary protection on human missions [to Mars]," Conley said last month during a presentation with NASA's Future In-Space Operations working group. Of course, NASA will also be doing its best to minimize the chances that astronauts could pick up a potentially pathogenic Martian organism while roaming the surface. For example, human explorers will steer clear of "special regions" — defined as areas where Earth microbes could likely survive and reproduce — and they won't set foot in a Martian locale that hasn't been visited and vetted by a robot first. But astronauts on the surface will inevitably come into contact with some Martian material no matter what precautions mission planners devise, Conley and other experts say, potentially lending a sinister edge to the slightest sneeze or cough. And Red Planet explorers are highly likely to get sick. My thanks to Fritz Goebel Sheboygan to sending this in to us. I would like to share some interesting photos I got from the Mars Curiosity Rover raw image website. They show what appears to be some kind of hole that an animal might use to access the surface when desired. 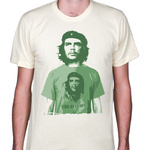 When I shared them with Robert Morningstar, he thought it resembled a gopher hole. After doing some further research of my own, it seems to resemble the holes that sand crabs in coastal areas here make when the tide goes out. I have also shared the images with Diane Tessman and she thinks you might be interested in them also. In any event, they represent something worth looking at and speculation about. I am attaching the images I sent along with details of the camera that was used, and when and where the photos were taken. If you are interested in featuring them in the Digest, please feel free to do so. I would appreciate being mentioned as the person who first noticed this. This is incredible - and for those who "took a trip" to Mars in our group visualization - there DEFINITELY has been running water there - and also catch basins which may even have been engineered. WOW! 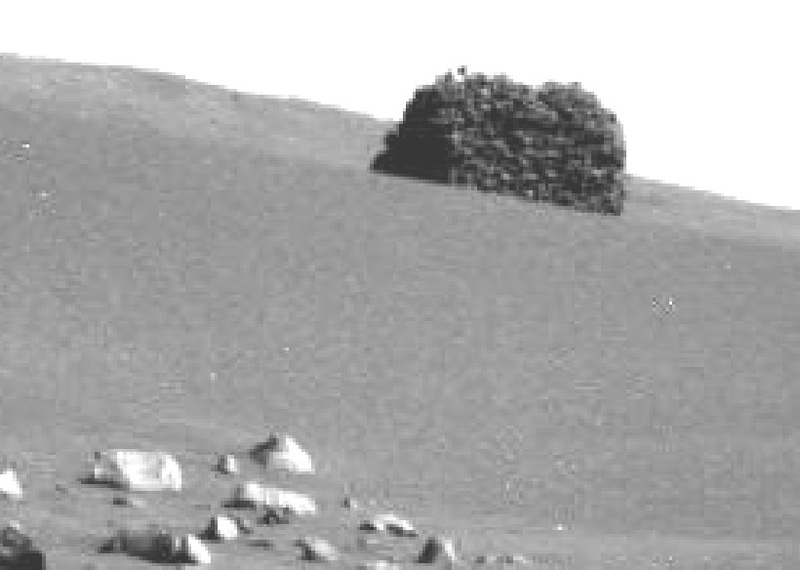 Stone Hut on mars Sol 728 captured by Spirit rover ? I could go on speculating with some mombo jombo.. but I think not, your guess is as good as mine. 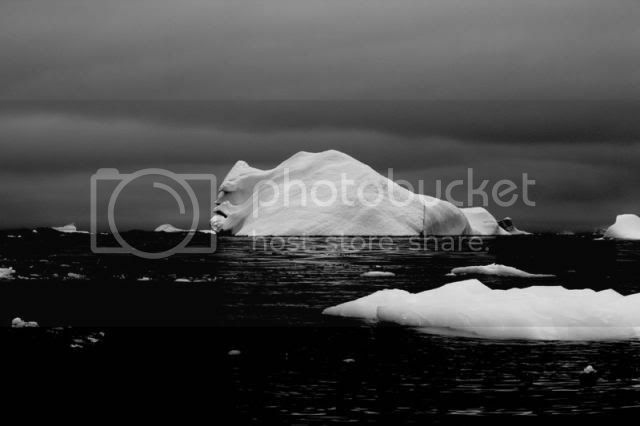 In this photograph, we see what looks to be the side profile of a large face on an equally large iceberg. The psychological phenomenon is known as pareidolia. The photograph was taken in Antarctica in Collins Bay between Barros Rocks and Berthelot Island (approx. 65° 19.474′S, 64° 15.560′W). That was pretty cool. You can actually the canyons where the rivers used to be. Mars today looks very much like Earth would look in the future if there weren't any plants and oceans covering the ground up. Send your personal message to the surface of #Mars, printed on a parachute! It wasn't there...then it was and they have no idea of how it did it. Maybe those of us who tried visiting Mars on the 'Mars experiment'..were not so far off the mark. I'm still sure they will find some evidence of past life there. Looking at this rock..it reminds me of the star trek episode where things kept appearing on the surface from a facility inside. A mysterious rock which appeared in front of the Opportunity rover is "like nothing we've ever seen before", according to Mars exploration scientists at Nasa. Experts said they were "completely confused" by both the origins and makeup of the object, which is currently being investigated by Opportunity's various measuring instruments. Astronomers noticed the new rock had "appeared" without any explanation on an outcrop which had been empty just days earlier. The rover has been stuck photographing the same region of Mars for more than a month due to bad weather, with scientists at the Jet Propulsion Laboratory (JPL) in California monitoring the images it sends. Nasa issued a Mars status report entitled "encountering a surprise", and lead Mars Exploration rover scientist Steve Squyres told a JPL event it seems the planet literally "keeps throwing new things at us". He said the images, from 12 Martian days apart, were from no more than a couple of weeks ago. "We saw this rock just sitting here. It looks white around the edge in the middle and there’s a low spot in the centre that's dark red - it looks like a jelly doughnut. "And it appeared, just plain appeared at that spot - and we haven't ever driven over that spot." Squyres said his team had two theories on how the rock got there - that there's "a smoking hole in the ground somewhere nearby" and it was caused by a meteor, or that it was "somehow flicked out of the ground by a wheel” as the rover went by. "We had driven a metre or two away from here, and I think the idea that somehow we mysteriously flicked it with a wheel is the best explanation," Squyres said. Yet the story got even stranger when Opportunity investigated further. Squyres explained: "We are as we speak situated with the rover's instruments deployed making measurements of this rock. "We've taken pictures of both the doughnut and jelly parts, and the got the first data on the composition of the jelly yesterday. "It's like nothing we've ever seen before," he said. "It's very high in sulphur, it's very high in magnesium, it's got twice as much manganese as we've ever seen in anything on Mars. "I don't know what any of this means. We're completely confused, and everyone in the team is arguing and fighting (over what it means). They said it is composed mainly of sulphur and magnesium. Sulphur would imply that it might be volcanic in origin...or possibly from water with a very high mineral content. I don't buy that theory about it getting flicked up by a wheel though. That sounds silly. You may recall, NASA recently announced that a strange rock had somehow "appeared" in front of its Mars Opportunity rover. The explanations for the mystery rock were straight-forward: maybe some kind of nearby impact sent a rock toward the rover, or, more likely, the rover knocked the rock out of the ground and no one noticed until later. Not so, says self-described scientist Rhawn Joseph, an author of trade books on topics ranging from alien life to the Sept. 11 terrorist attacks. (Sample article: "Dreams and Hallucinations: Lifting the Veil to Multiple Perceptual Realities.") The rock was a living thing, and he's filed a lawsuit to compel NASA to examine the rock more closely. Joseph is involved with the Journal of Cosmology, online publisher of some very controversial papers. In fact, this isn't the first report of alien life to come out of the journal. For the record: NASA has identified it as a rock. A very special rock, with rare properties, even. But definitely a rock. The lawsuit, filed yesterday in a California court, is aimed at NASA and its Administrator, Charles Bolden, requesting that the agency "perform a public, scientific, and statutory duty which is to closely photograph and thoroughly scientifically examine and investigate a putative biological organism." Joseph is disputing the rock theory, since, "when examined by Petitioner the same structure in miniature was clearly visible upon magnification and appears to have just germinated from spores." (Joseph is the Petitioner.) The "rock," according to the lawsuit, was there the whole time, it just grew until it became visible. "The refusal to take close up photos from various angles, the refusal to take microscopicimages of the specimen, the refusal to release high resolution photos, is inexplicable, recklessly negligent, and bizarre," according to the suit. 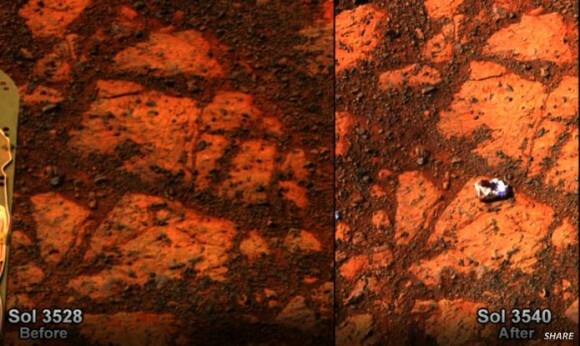 Petitioner has specifically requested and has demanded in writing the following of NASA, NASA’s chief administrator Bolden, and NASA’s rover team: A) take 100 high resolution close-up infocus photos of the specimen identified in Sol 3540, at various angles, from all sides, and from above down into the "bowl" of the specimen, and under appropriate lighting conditions which minimize glare. B) Take a minimum of 24 microscopic in-focus images of the exterior, lip, walls, and interior of the specimen under appropriate lighting conditions. C) NASA, and the rover team must make public and supply Petitioner with all high resolution photos and images of that specimen as demanded in A and B.